MILWAUKEE – Union workers at Harley-Davidson factories in Wisconsin have approved a new contract offered by the company that includes a 14 percent wage increase over five years. Job security measures also sought by United Steelworkers Local 20209 and USW Local 460 were included as well, and the union said Harley-Davidson has agreed to invest $65 million in its Menomonee Falls plant and $10 million in the Tomahawk plant. “These investments should ensure the long-term viability of our facilities. We look forward to working with Harley over the next five years to continue our shared success,” said Local 2-209 president Mark Eilers. The previous seven-year contract had been set to expire April 1 but was extended through April 14. A tentative agreement was reach April 10. 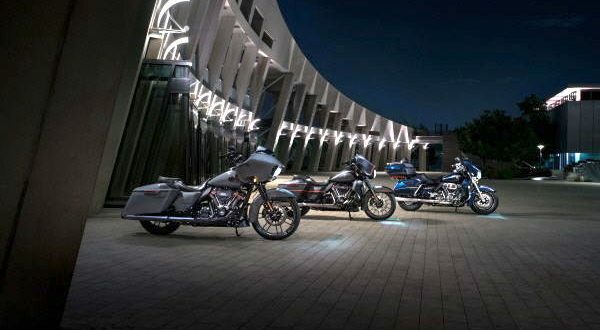 “We believe the new contracts will enable us to compete in a challenging business environment and advance our strategy to build the next generation of riders globally,” Harley-Davidson Chief Operating Officer Michelle Kumbier said in a statement. Harley-Davidson has 637 regular full-time employees at its Milwaukee-area plants, down from 1,250 nine years ago. The Tomahawk plant has 270 employees, down from 370. One of the biggest issues from the union’s standpoint has been Harley-Davidson’s use of temporary workers who are paid less than full-time workers and don’t get the same benefits. “It’s certainly a positive step to see a pay increase, but this contract was always about more than just economic issues,” said Steelworkers District 2 Director Michael Bolton, who led the negotiations for the union.